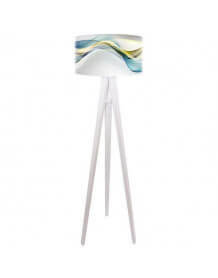 Tripod floor lamp with a white lampshade with contemporary motifs. This chandelier give a modern touch to your interior. 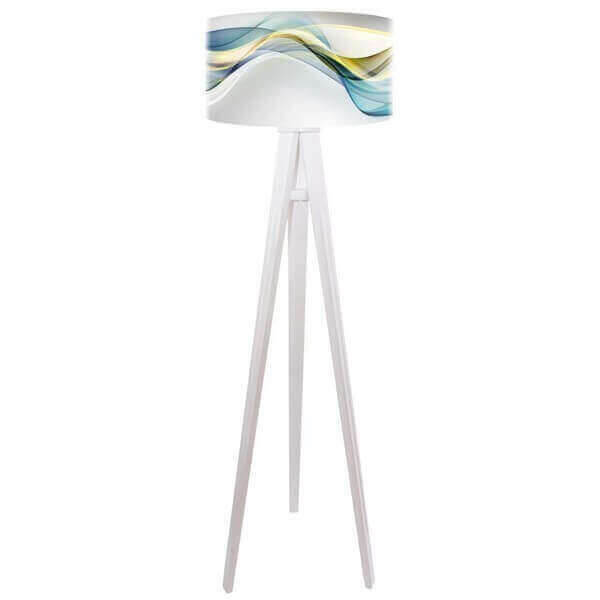 Shade: Metal frame and PVC circle with a print of very good quality.